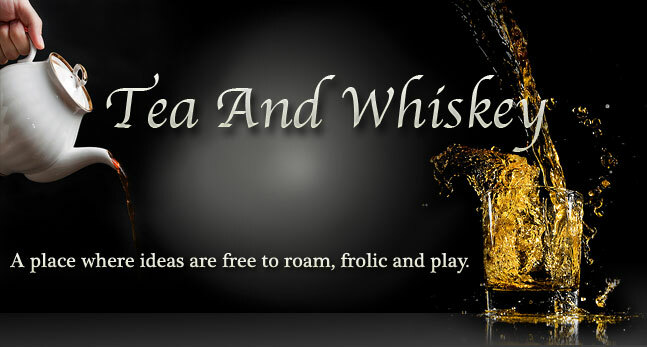 Tea and Whiskey: The nice man at Apple. Say what you will about the Evil Apple Empire. They may throw little Chinese men that loose the secret new products out upper story windows, they might call you all idiots for holding your phone wrong, and they may come out with a brand-new, must-have product the day after you bought the old one, but they are good with the customer service. 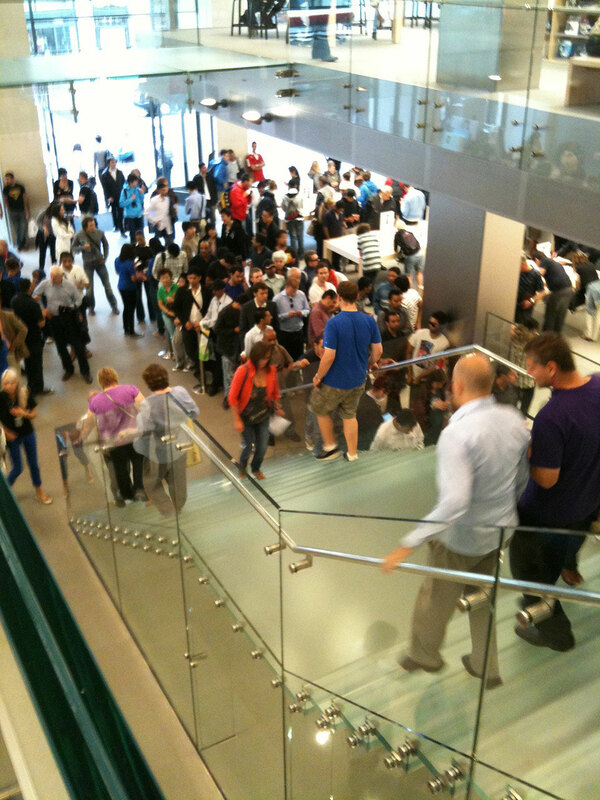 I went into the Apple store on Regent street today and was gobsmacked by the horde of people standing in queue waiting to buy something. I got ready to be pissed off and angry at the first people I spoke to -- this stems from the fact that I was 8 minutes late to my appointment at the Genius bar because tourists don't understand what to do in London when it rains. Did you not buy the guide book? It rains here. Often. Be prepared. Sheesh! Anyway, late to my appointment, went to the wrong genius bar (because there are two now) but the nice lady let me into the queue anyway. Woo Hoo! I was promptly collected from the queue by a nice man named Nick, but not before I sent off a quick pic to my little brother. (He too is an Apple Genius and works in Phoenix. *) I knew that this nice man's name was Nick because the Appleites wear little tags around their necks. Nick asked me what the problem was and I explained that the vibrate feature on my iphone has started thinking it is 1990 and it should sound like this 'WAAAAAHHH!' Instead of the nice 'Bzzzzt' that I was used to. With it wailing like that, I can't say I didn't hear it when people call me and I can't be bothered to answer. Nick looked at my phone, listened to the noise a couple times then asked me if it was okay if he gave me a new one. UH... Okay. If you have to give me a brand new one, I guess I can deal with that. He grabbed a new one out of the back. Swapped my SIM and asked if I was going straight home? Otherwise he would have tried to collect my data from the old phone and pass it on to the new one... As it was Stupid-Busy in the store, I said I would just go home. I signed to say I had collected the new pieces and was on my way. But not before Nick very patiently explained how I would get all my old info back onto the phone. What a trooper. I was so impressed with the staff at the store, that I started looking around at iphone cases. This was a bad idea as I was elbowed aside by four different people trying to be in the same spot I was standing. Given the crowd at the ipod/iphone case area, I thought I would walk over and look at the bags for my Mac Book Pro. Somehow, the assish customers followed me to this, the least popular section of the store and again attempted to stand in my back pockets while I looked at laptop sleeves. Obviously, this is not the time or place to attempt to purchase anything, so I crowed back down the stairs to gawp at the queue waiting to pay. On the way out the door, I think I figured out what all the people were doing there. London is plagued blessed with a load of tourists right now. It is so bad in my area, that you can't walk down the streets at night from the mass of bodies toking up at the hookah cafes on my street and the council is so fed up that it has started clamping cars outside Harrods. What do those drivers think? That they own the place or something? We have rules in this country and the number one rule is "No aviators in my neighborhood. Especially after dark." 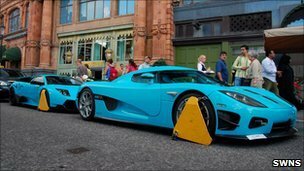 Personally, I think they clamped the cars because they are painted such a hideous color. I don't care if it is the livery of the Royal Family. Toothpaste Blue is not a color for a supercar. * Notes: Thank you Apple. Please don't shut off my accounts because I said you tossed an Asian out the window. If anyone is curious about my little brother and his new baby (that would be my Niece) you can track the progress of her little, cue-ball head on her own blog. She updates about half as much as I do but, to be fair, she can't really read or write and she just got teeth. But I am sure she will be driving next week. Ask her mom.